We’ll start with a true story. We were once at a sizeable wedding with everyone from babies to grandparents in attendance and everyone had settled down to hear the speeches. Father of the bride briefly and graciously thanked everyone for coming. And then, it was time for the best man speech. About three sentences in, people started looking around at each other, with a ‘this sounds familiar’ look on their faces. In a few more moments, it all became clear. They were right, it did all sound familiar. And that’s because he copied the whole best man speech off the internet. Nearly everyone in the room (except the babies and grandparents without the internet) had already seen those jokes at some point. If there was one thing the best man proved to a few hundred people was that he had nothing personal to say about the couple, and that he didn’t put enough effort into writing the speech. And now, do you want to hear the absolute best best man speech we ever heard? He didn’t really speak that much per se. He simply made a video to prove why the bride and Tom Cruise were destined to be together, and therefore the groom better watch out. The video was a collection of cleverly spliced clips from films where Tom appeared to be saying the bride’s name, and photos showing Tom eating a cereal, followed by a photo of the bride eating the same cereal. It’s like they were meant to be! It had the whole place in stitches. And you know what? This wedding happened over 10 years ago, and we still remember it. Goes to show you how making the right effort is really important. So, soon-to-be best man, what are you going do about your speech, then? Here are our 7 commandments. 1. Thou shall not copy anything from the internet. If you google ‘best man jokes’, you’ll get loads of websites serving them up to you like a big buffet of ha ha. The problem? Every other best man has seen them and swiped a few for his speech. 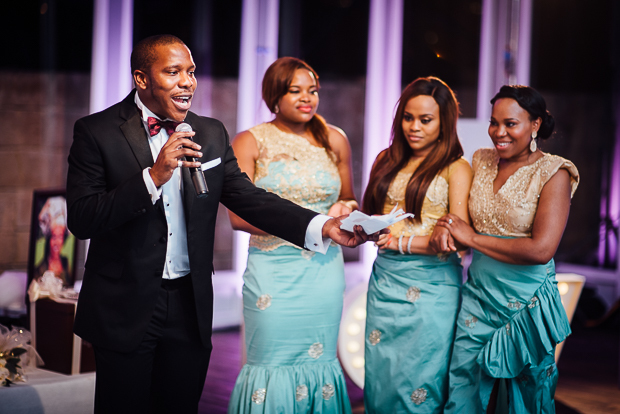 There is a very real chance the guests at your wedding will have already heard them at another wedding. Is that what you want to be remembered as? The guy who told all the jokes last? By all means, use the internet jokes as inspiration for your own, or to see what kinds of things are acceptable, but don’t copy them word for word for your own best man speech. 2. Thou shall realise the bride is already worried about what you’re going to say. How about just doing the right thing and keeping your best man speech at the right level of awesome? After all, this is a woman your best mate is marrying. Come on. You had your chance to humiliate the groom at the stag do. He really doesn’t need any more, and neither does the bride. Plus, there will be all kinds of ears at the wedding, young and old. Keep it PG-rated. 4. … thou shall ask the couple if you can skip your speech altogether. Yes, you read that right. If you feel like fainting at a mere thought of public speaking and will definitely need a doctor in the wings to revive you, then you don’t need to go through the torture of giving the speech. The chief bridesmaid may gladly step in. Also, weddings have changed massively over the last few years and a lack of expected speeches surprises exactly no one. So go ahead and tell the couple you’ll be the best best man in all the land, except could you please skip the speech. 5. Thou shall not write your speech the day before the wedding. We know 10 months seems like 10 years away at the moment, but you know that old cliche, it will be here before you know it, blah blah. You can start making the notes now. Think of a few real-life stories and anecdotes you could tell about the couple, or make note of noteworthy things that happen during the engagement. When it starts taking shape, run the speech by some mates and ask for their feedback. If you are really stuck, we tell you right here how to write the perfect wedding speech, and here are things you should definitely include (and exclude) in your speech. 6. Thou shall not forget the parents, the bride and the groom himself. At the absolute least, include a toast to the parents somewhere in your speech. But it would be better if you said a few things and thank yous to them. After all, without them there would be no wedding, quite literally (and sometimes financially) speaking. Compliment the bride on how lovely she looks, and say something nice about the groom too (especially if you’ve been roasting him mercilessly the whole time). 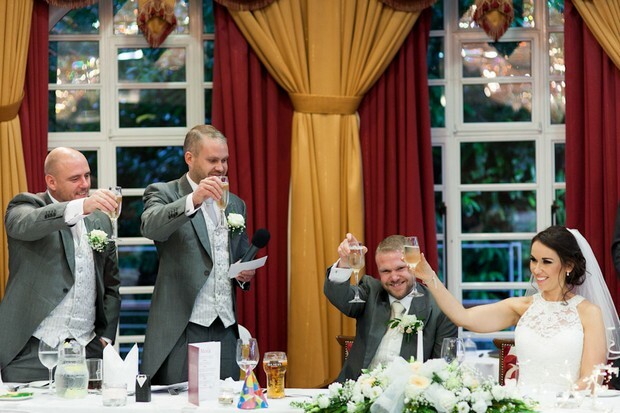 End with a flourish by asking everyone to raise their glass to the newlyweds – usually that’s the happiest moment of all the speeches. 7. Thou shall not speak for more than 3 minutes. Speeches are usually scheduled around meals. If you want to know exactly when you’ll be expected to rise and share your wisdom with the room, ask the couple. Chances are, it will be before dinner, or between the starters and mains. The point is, people will likely be hungry as heck. Keeping them waiting for their food while you go on and on guarantees you won’t have the attention you deserve. Get all the words out in around three minutes. That sounds totally doable, right? Ok, so what’s left? Plenty! 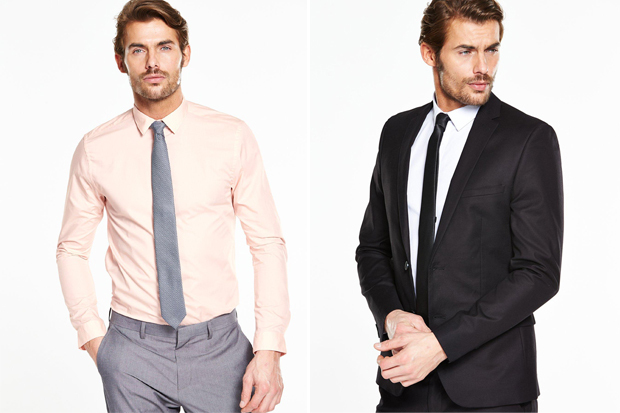 Introduce yourself, and say why you think you were chosen as the best man. By all means, crack a joke at yourself here to warm up. Tell a few stories from the couple’s dating years, and how you all ended up here at the wedding today. Most best men think they’re there to do stand-up comedy, but not everyone is a natural at this sort of thing. Just keep it personal and you can’t go wrong. 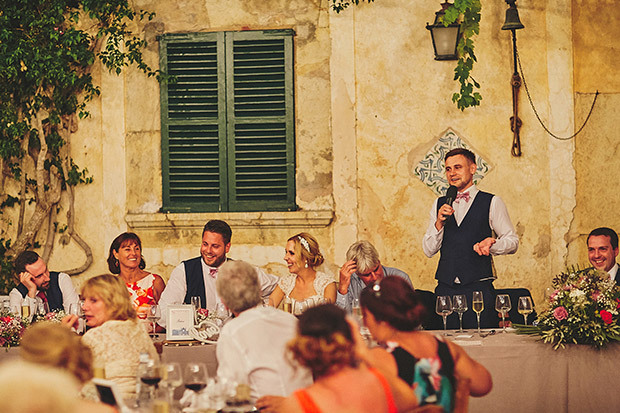 Looking for some help with your Best Man Speech? Poems To Go can come to the rescue and create a unique, personalised poem just for you using details you give them. Just one minute long, they’re perfect for anyone stressing out about getting up in public! 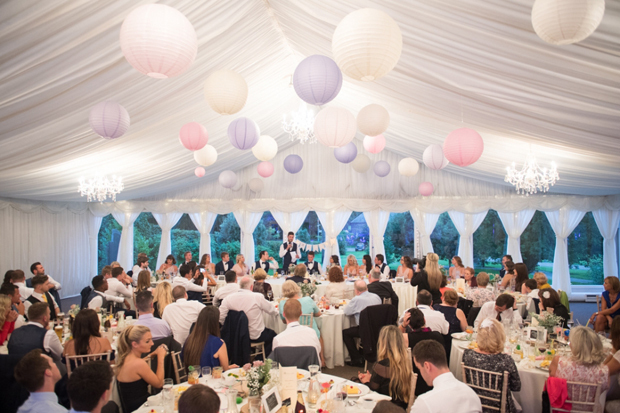 Or if you’d rather stay traditional with a speech and need a hand, Poems To Go can also put together some brilliant speeches and toasts, ranging from 3-5 minutes and will provide you with some handy speaking tips as well! Find out more about their services here.